Hundreds of Israeli security forces have raided and evicted an outpost set up by Palestinian activists in the occupied West Bank, despite an earlier injunction by Israel’s High Court preventing the government from such action. Several activists have allegedly been detained. There were also reports of some protesters being injured. On Friday over 200 Palestinians and foreign peace activists pitched tents in the disputed E1 area to protest Israeli settlement plans there. 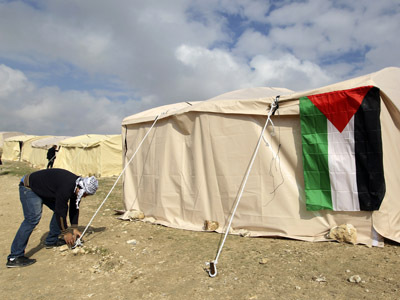 Around 20 large, steel-framed tents were set up in the “Bab Al Shams” camp, in a bid to preserve the area for an independent Palestinian state. 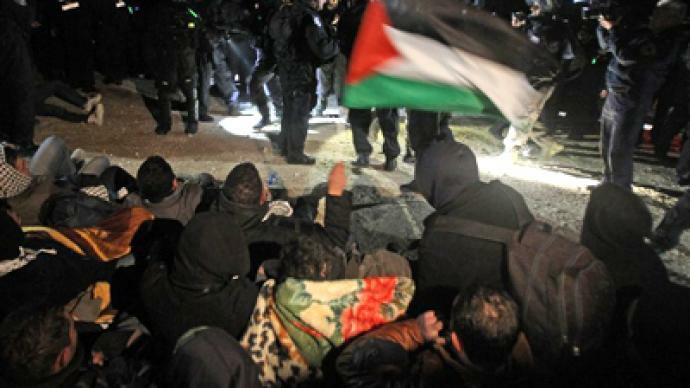 Israeli forces entered the encampment early Sunday morning after surrounding the site late on Saturday and preventing activists from entering. 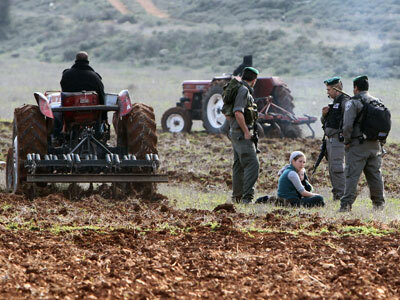 The eviction also comes despite the tents being pitched on private Palestinian land, according to Haaretz. Late on Saturday the Israeli government managed to convince the High Court that "there is an urgent security need to evacuate the area of the people and tents," overturning an injunction on the action. 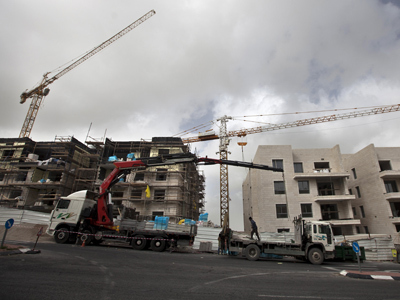 Netanyahu’s office has said that it planned to declare the area a closed military zone. The building of Israeli settlements has been condemned by many international powers, which say the move will be detrimental to securing an Israeli-Palestinian peace deal. Direct peace talks between Israel and Palestine broke down in 2010. Israel has frozen building in E1 for many years, after coming under pressure from then US President George W. Bush. However, Netanyahu announced settlement plans after the Palestinians won de-facto state recognition at the UN General Assembly last year. Those plans involve building around 4,000 housing units in the area.